My January OMG goal was to finish the nautical mini that I started here. Thanks to Yvonne @ Quilting JetGirl for a great pattern. Nightfall for the background, Riveria, Lapis, Cyan, Turquoise, Surf, Purple, Grapemist, and White. This is also one of my Q1 FAL goals that I set earlier this month. 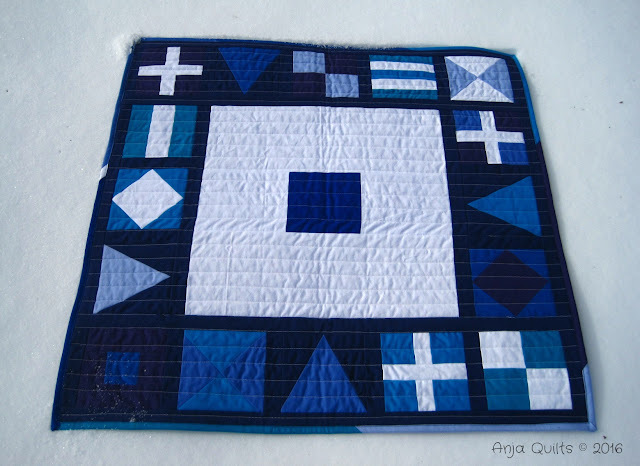 Alyce @ Blossom Heart Quilts is hosting a year-long Modern HST Sampler quilt along. Every two weeks, a new HST block is unveiled. We'll be learning different techniques to make the HST's. We learned how to make two HST's at a time for the first block, Candy. Here are the instructions. For the second block, Ninja, we learned how to make four HST's at a time. Here are the instructions. 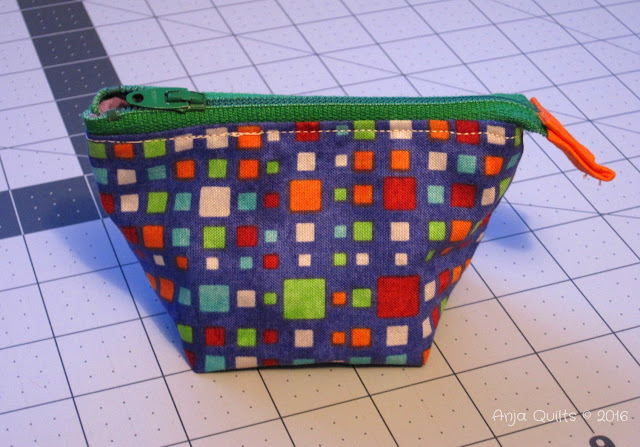 I've taken a break from my zippered pouch addiction...because I have found a new addiction. 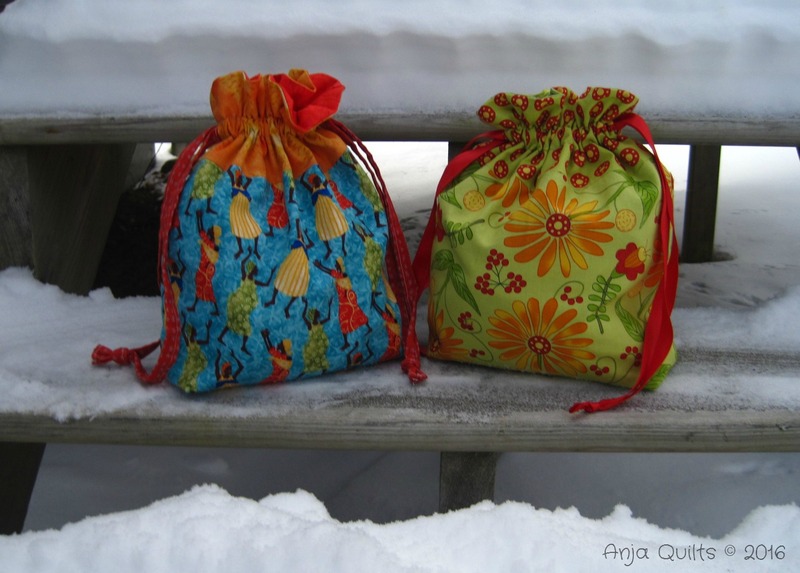 An awesome tutorial by In Color Order for lined drawstring bags. What a great tutorial. 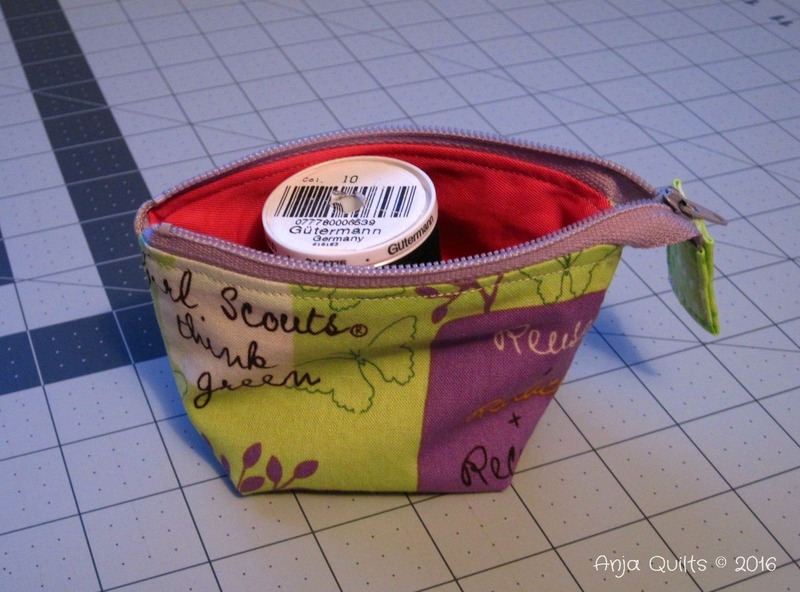 Thanks to Jenn @ A Quarter Inch from the Edge for sharing the tutorial. 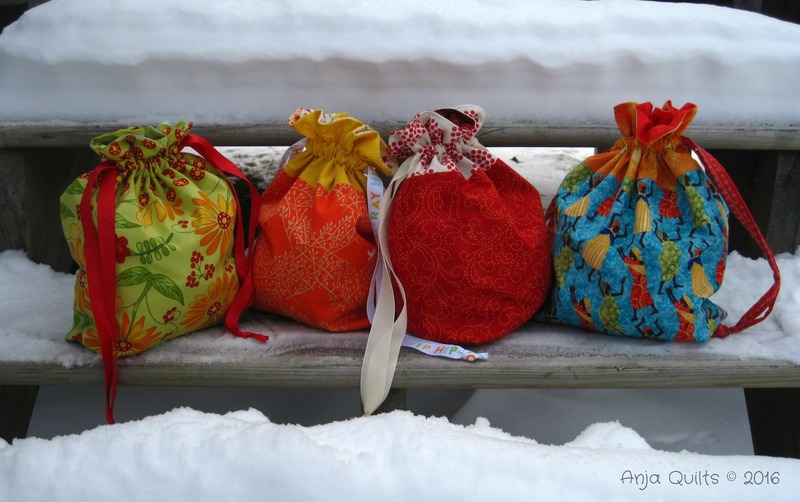 I'm tempted to purchase the pattern for the other bag sizes...but I think I need to slow down on this addiction before it gets out of hand. 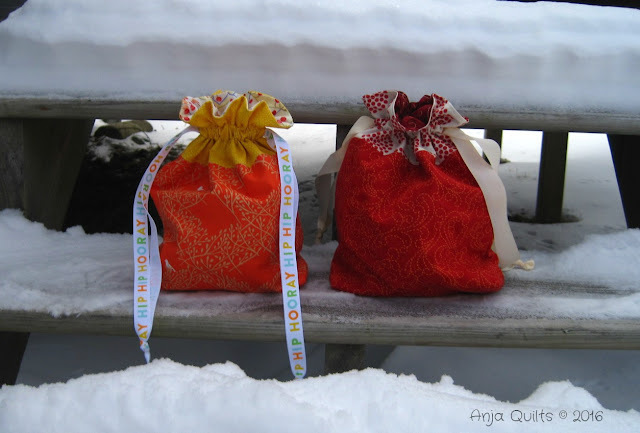 You can make your own ties out of fabric or use ribbon. 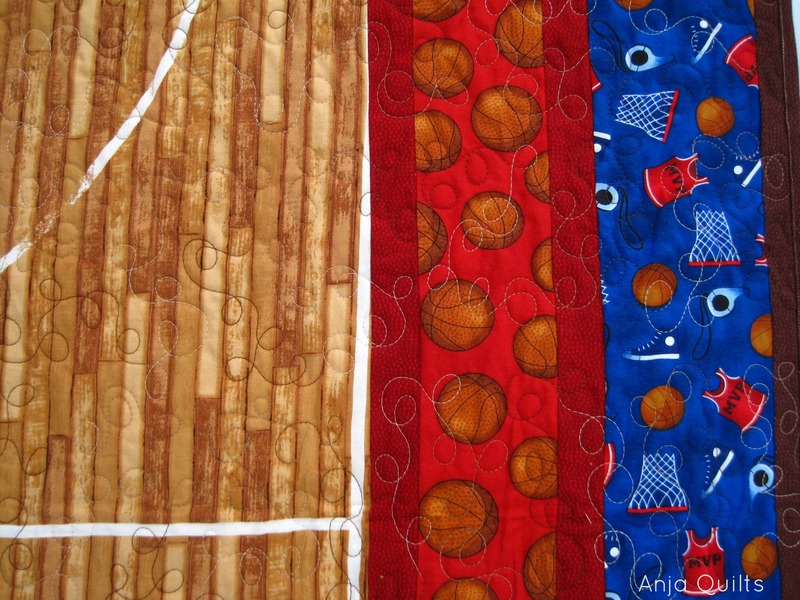 I made three with different types of ribbon and one with fabric ties. These are great stash-busting projects. I thought it was fitting to take the photo in the same place that I acknowledged I had an addiction with zippered pouches. And who do I think I'm kidding??? I'll be making more. Sometime last spring, I purchased a fabric kit from my LQS...and then I forgot about it. 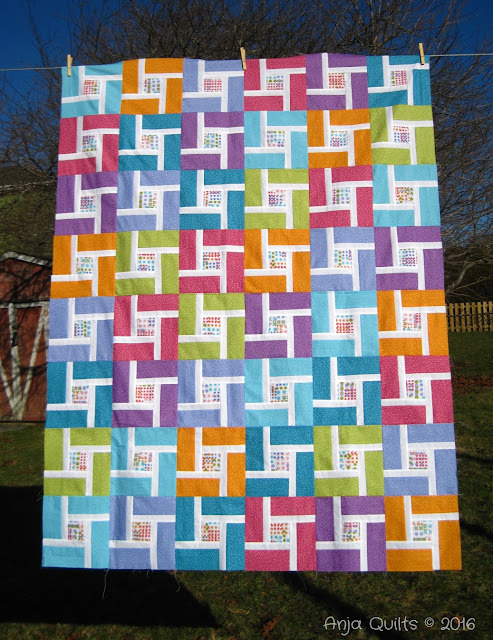 Strip Twist is a pattern by G.E. Designs. 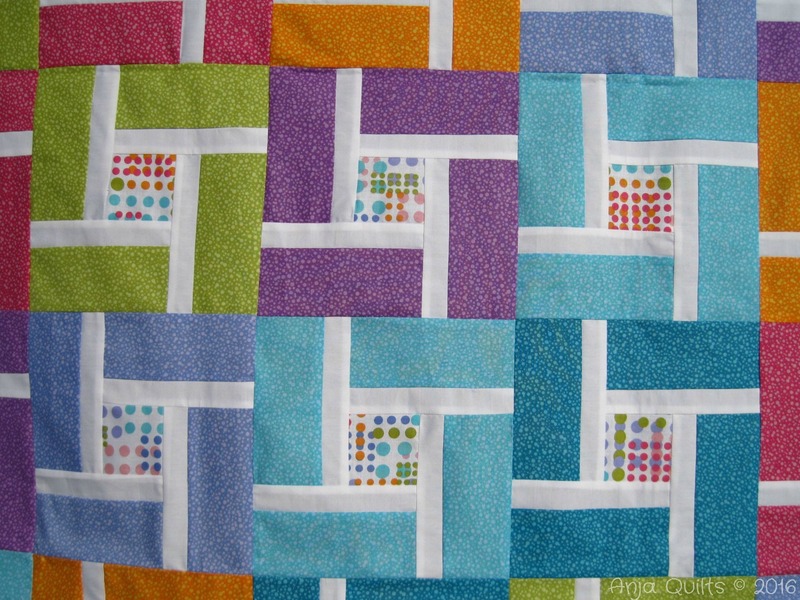 This is a great pattern using 2.5-inch strips; however, I felt that there was an added step. Coloured strips are sewn on either side of a white strip. The pattern calls for using two different coloured strips. The strip sets are then cut into sections. And then you cut the section in half down the middle of the white strip. Instead of sewing two coloured strips on either side of a 2.5-inch white strip, I would have preferred to have sewn a 1.25-inch white strips to each coloured strip and saved cutting all the pieces in half. 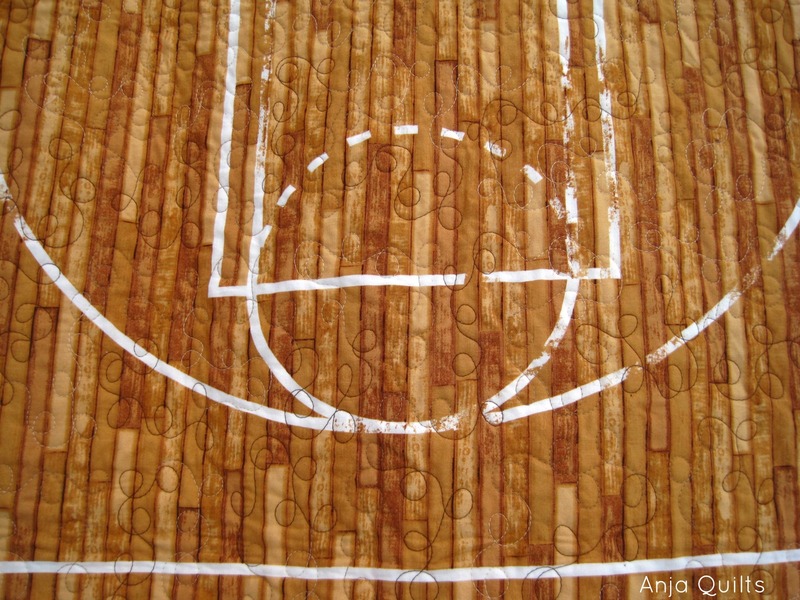 The block is then made using one partial seam. The kit used all the same fabric, in seven different colours. 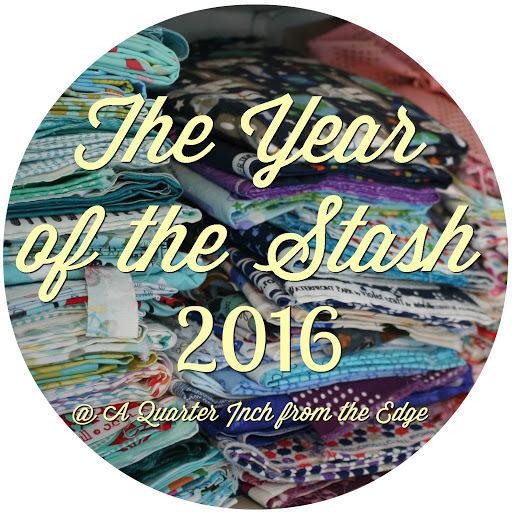 Jenn @ A Quarter Inch from the Edge has declared that 2016 is The Year of the Stash. She's created a Manifesto and has invited friends along for the journey. 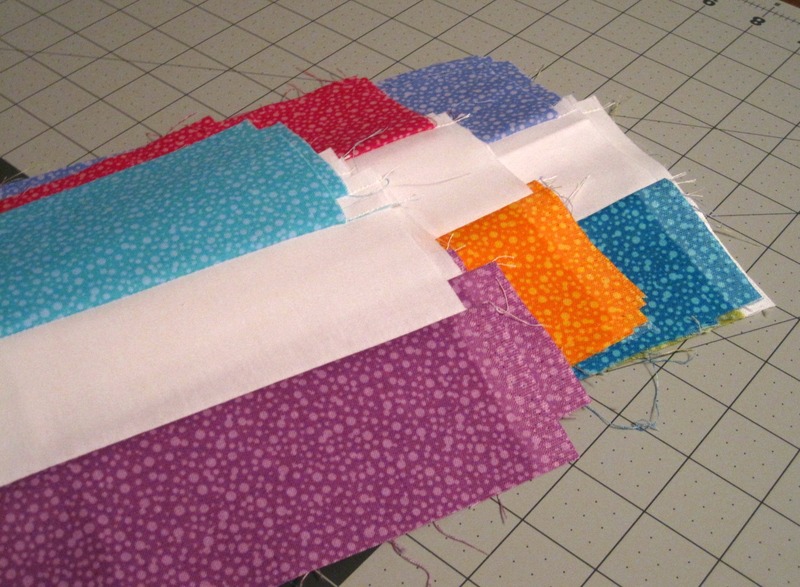 Generally, my fabric purchases are limited due to lack of money -- no frivolous purchases just for fun. But I've decided it's time to make a dent in my stash. The price of fabric continues to increase, but my salary is not increasing, so I need to use my resources wisely (oops...that's my inner Girl Guide speaking). Before commencing a new project, I will search through my stash to find suitable projects. If I feel I need to make a purchase, I will ensure that the project is something that will make me happy and has a purpose. I will purchase thread and batting as needed. 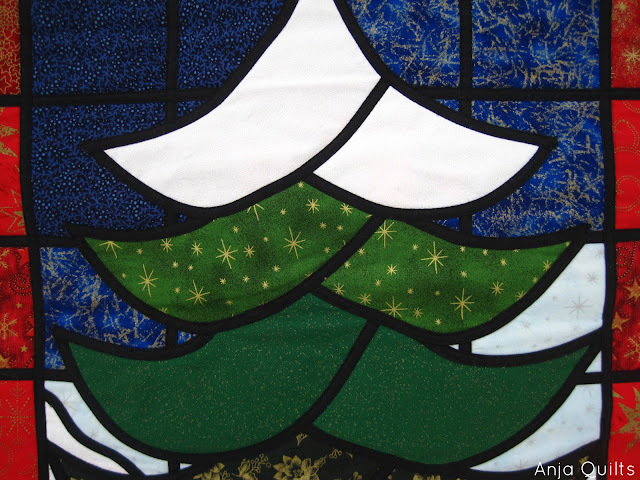 I will purchase fabric to make the Transparency quilt by Yvonne @ Quilting Jetgirl. This is on my 2016 project list and the only project for which I do not have fabric. 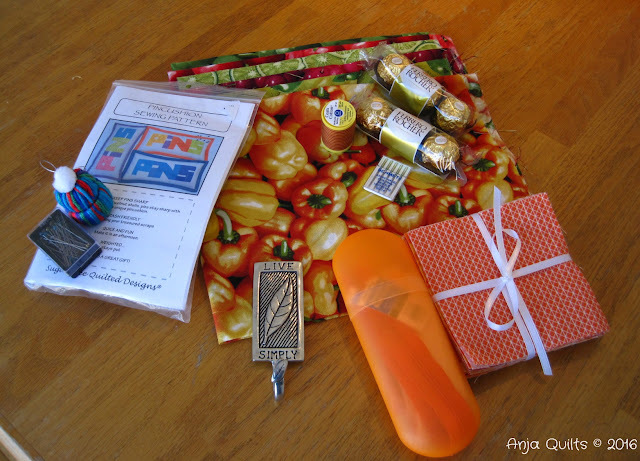 I will purchase fabric if there is nothing suitable in my stash for Stash Bee 2016 and the Birthday Bonus Club. 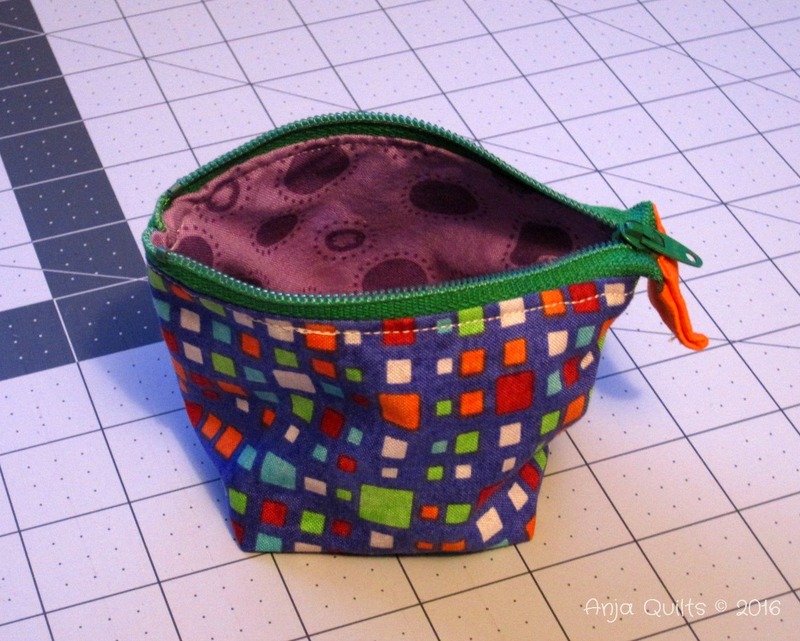 So embracing my new stash busting plan, I dug through my scraps to make a mini Open Wide Zippered Pouch by Anna @ Noodlehead. I found mini instructions over at Stitched in Colour. 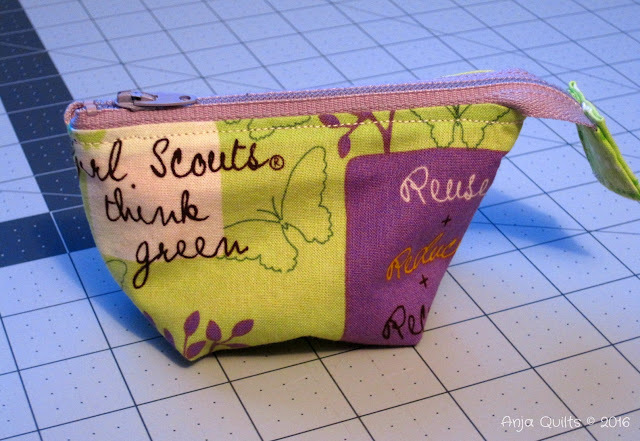 I needed a little pouch for my Wonderclips. 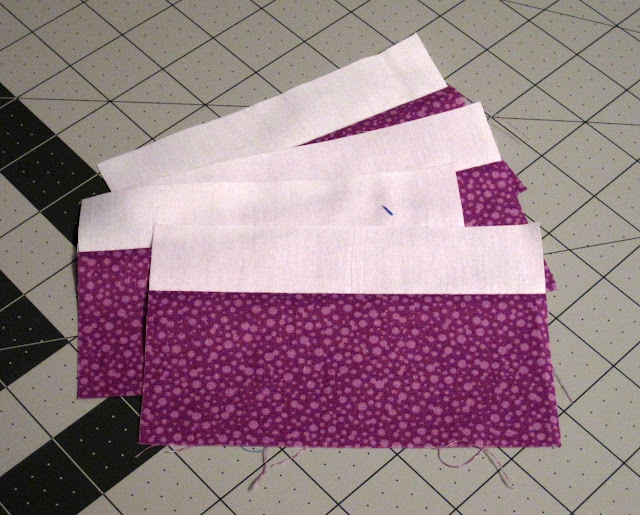 You'll see that they are only about 2 x 3 inches -- I can fit one 1,000-metre spool of thread, but not two. 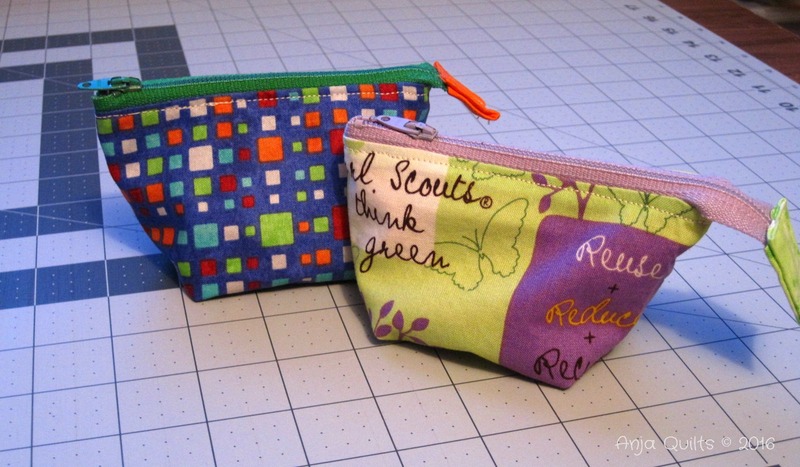 I think I may have revived my addiction to zippered pouches. 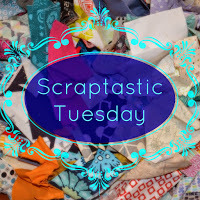 I'm linking up with Scraptastic Tuesday hosted by She Can Quilt. I'll have to add this linky party to my calendar. 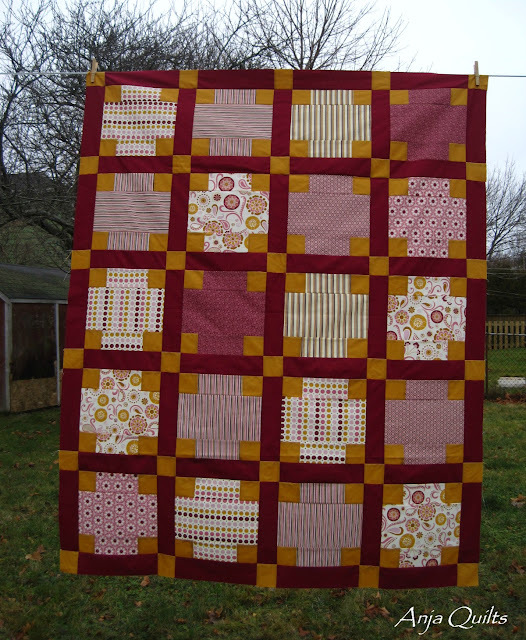 My second quilt bee, the Do-Bees, gets together for Christmas dinner in January. It's often difficult to find time during the hectic holiday season to get together. Our gift exchange has a set price point, and the idea is to purchase the same little gift for everyone, so we all go home with a bag of goodies. 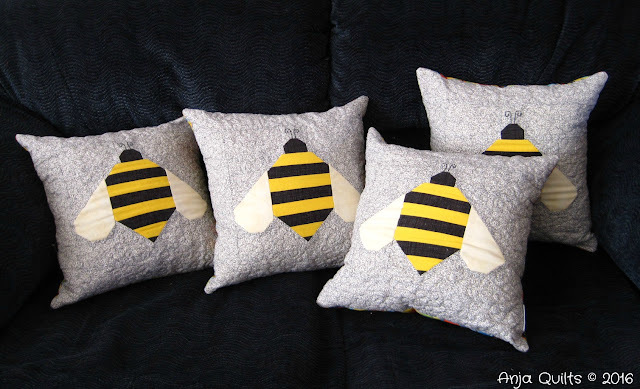 In return, I gave my bee mates a pillow with a pieced bee on the front. Thanks to my friend Dena for doing the math for the various pieces. I did loop FMQ in white thread. Didn't realize that it would be so difficult to see white thread on black and white fabric until I started...might have overlapped some quilting. I did a hidden zippered back. 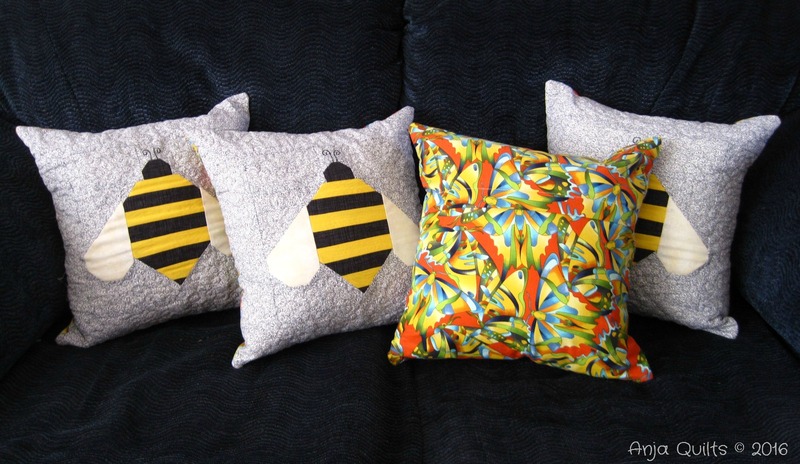 The butterfly print is a tad bold and busy, but I thought it would be fun. The Basketball quilt had been patiently waiting to be quilted for far too long. I purchased the kit back in March 2015. 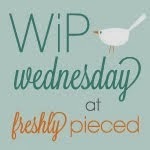 I made progress on piecing here and here. But then I didn't know how to quilt it, so I procrastinated...and procrastinated...and then procrastinated some more. But then my nephew fell while playing basketball in early December and fractured his ankle. He is unhappy because he has to wear a walking boot for at least six weeks and can't play basketball. 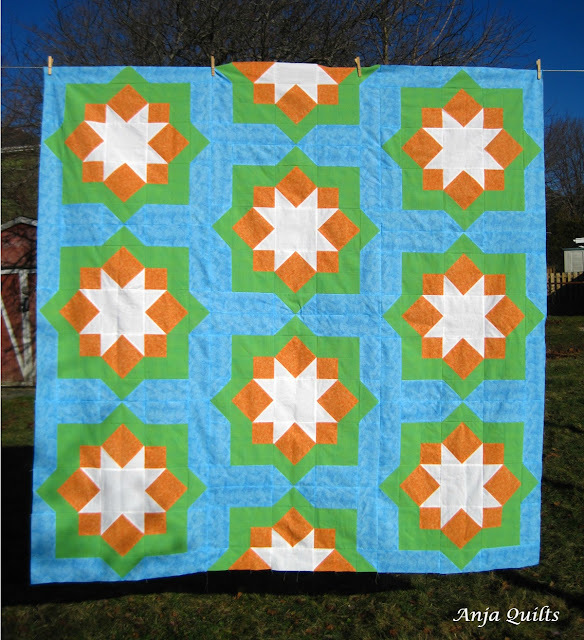 So the rush was on to finish the quilt. 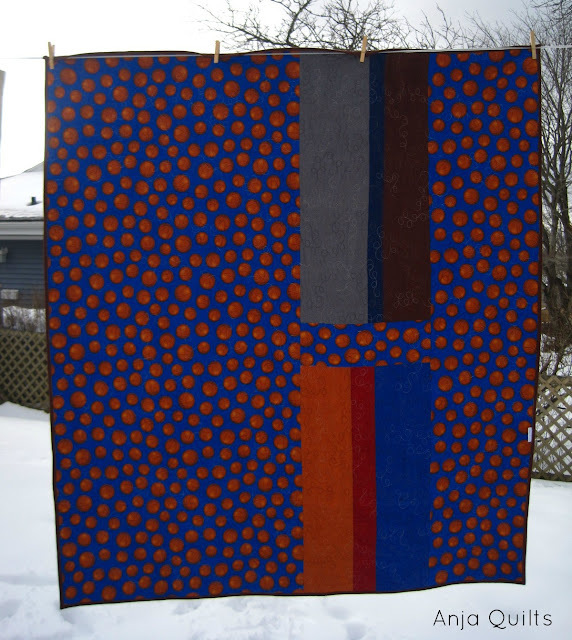 I decided to do loop FMQ in a brown variegated thread. 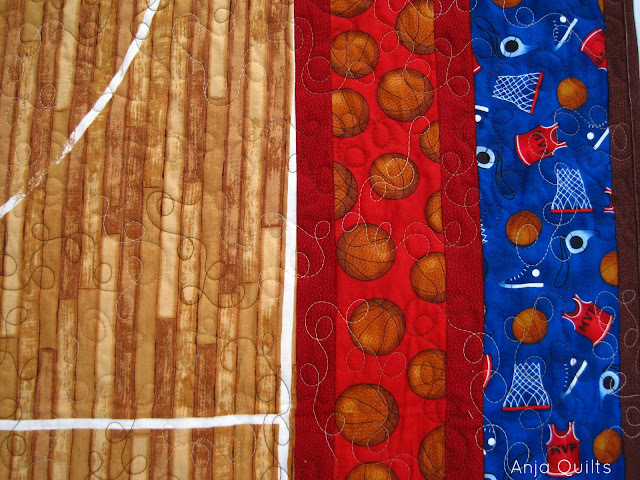 I didn't have enough of the blue basketball print for the back, so had to be creative with the little bits of leftover fabric from the front. 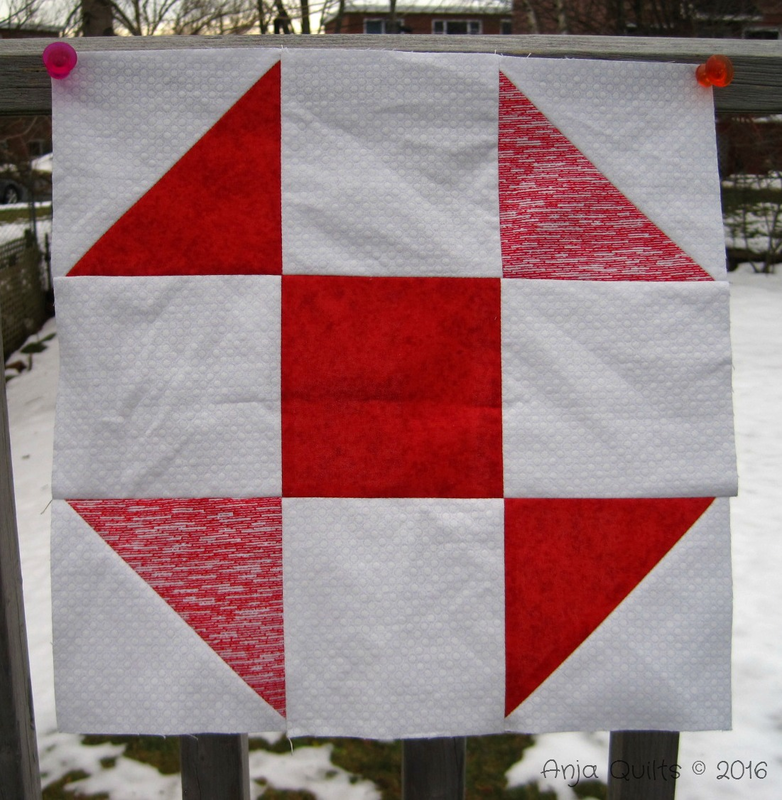 I'm linking up my finish with: TGIFF hosted by Faith and Fabric; Finish it Up Friday hosted by Crazy Mom Quilts; Can I Get a Whoop Whoop? 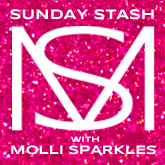 hosted by Confessions of Fabric Addict; and Whoomp There It Is! hosted by A Quilted Passion. When I decided to play along with the Meadow Mist Designs Mystery Quilt hosted by Cheryl, I decided not to peek at the final pattern -- that it would truly be a mystery. It was stressful not knowing whether I had chosen appropriate fabrics. The stress is gone....here is my finished quilt top. I've decided to play along with the 2016 Finish Along. I've decided to set four goals to complete before the end of March. 1. 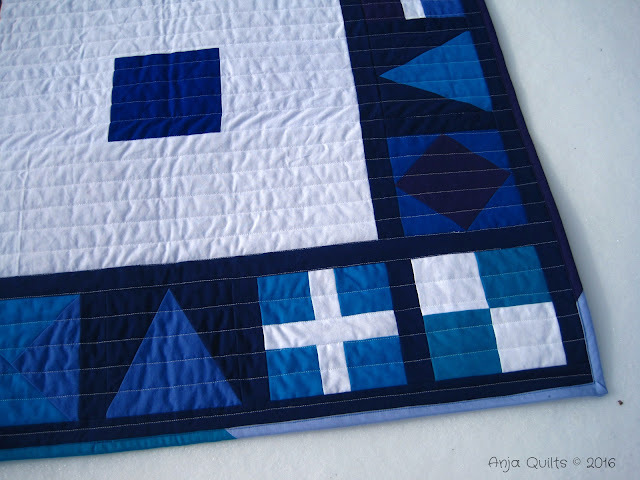 Nautical Mini Quilt - This mini quilt is already pieced and needs to be quilted. 2. 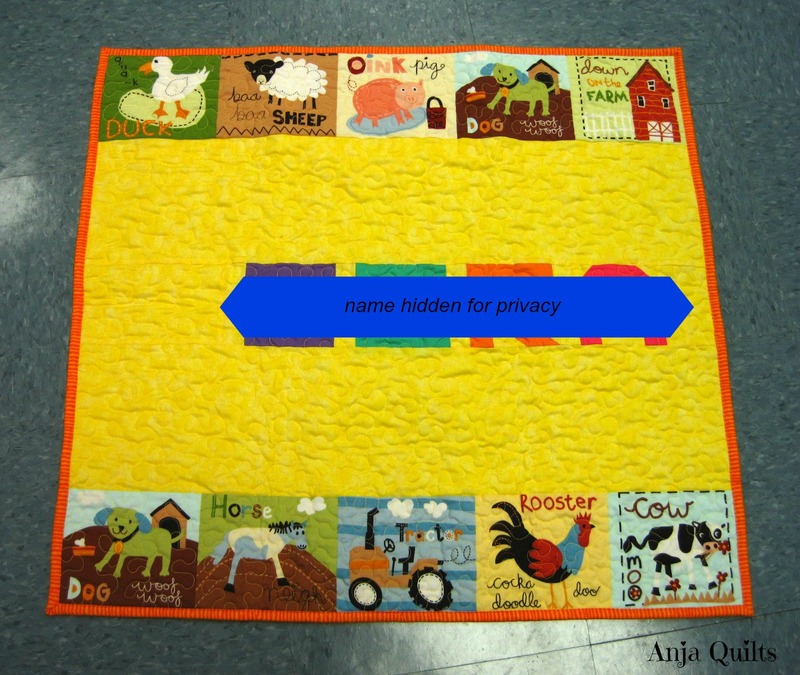 Meadow Mist Mystery Quilt - We just received the final piecing instructions -- the blocks were finished in December. 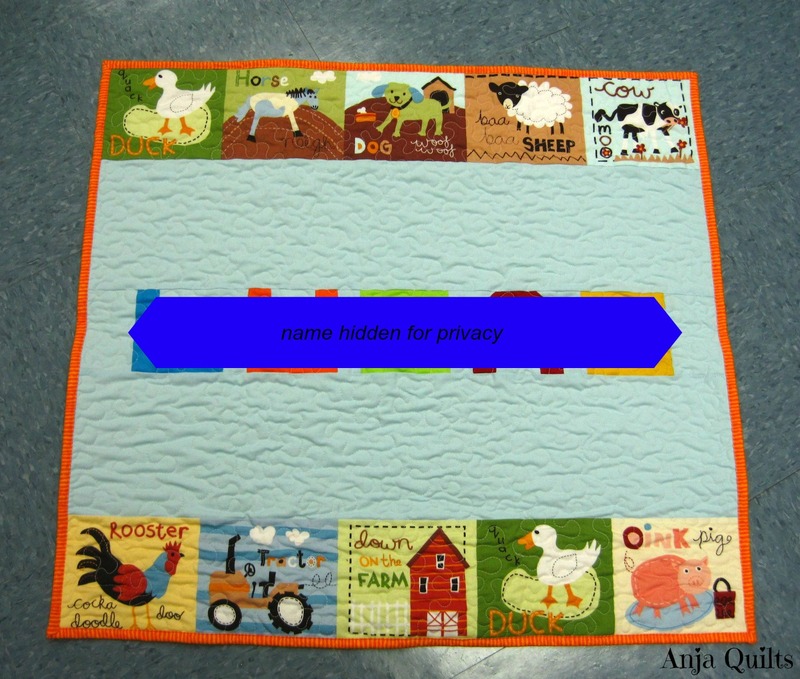 Our finished quilt tops must be submitted to Meadow Mist Designs by March 8 as part of the quilt along. 3. Additions Baby Quilt - This was a pattern I tested for Julia @ Jada's Quilting Adventures. 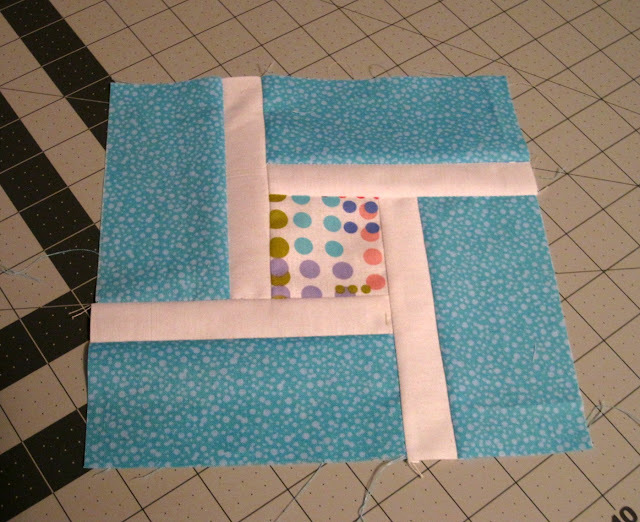 Several people have suggested a boxy meander for the quilting, so I'm going to try something new. 4. 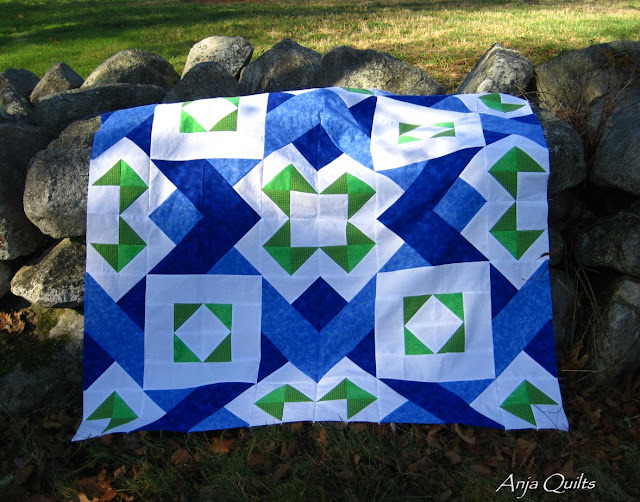 Ocean Sky - This is another pattern I tested -- for Brianna @ The Iron & Needle. 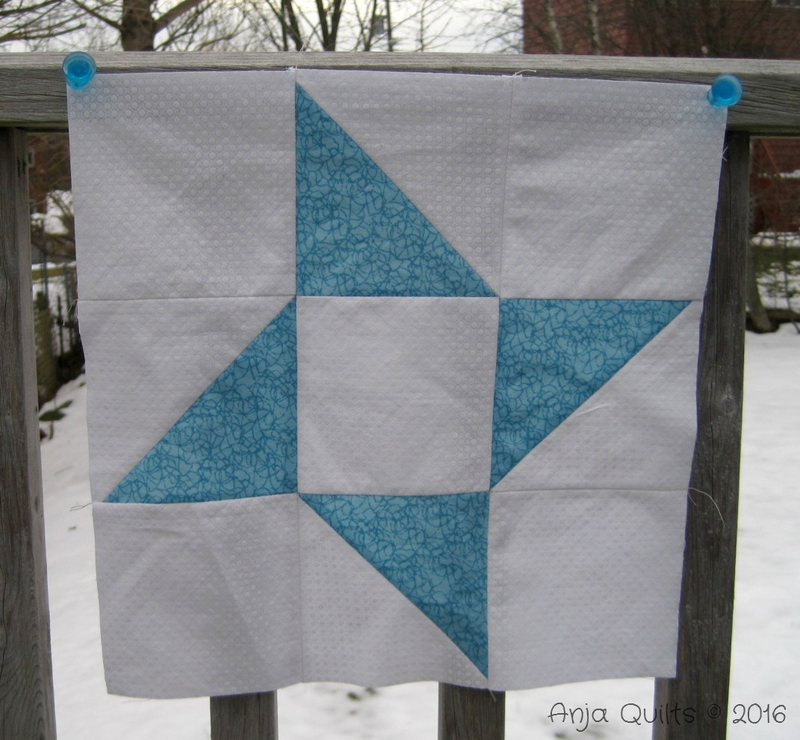 Still not sure how to quilt it. Linking up my 2016 FAL goals with Leanne at She Can Quilt. 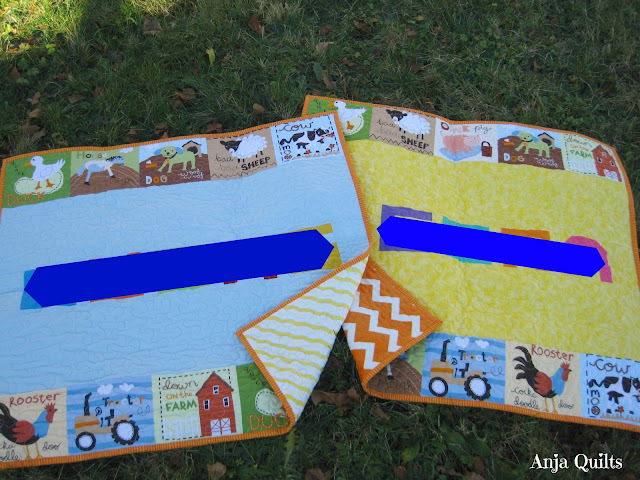 I made baby quilts for DT back in September 2014 in advance of their arrival. Jenn @ A Quarter Inch from the Edge is a good friend, so there was no question that I would make quilts. 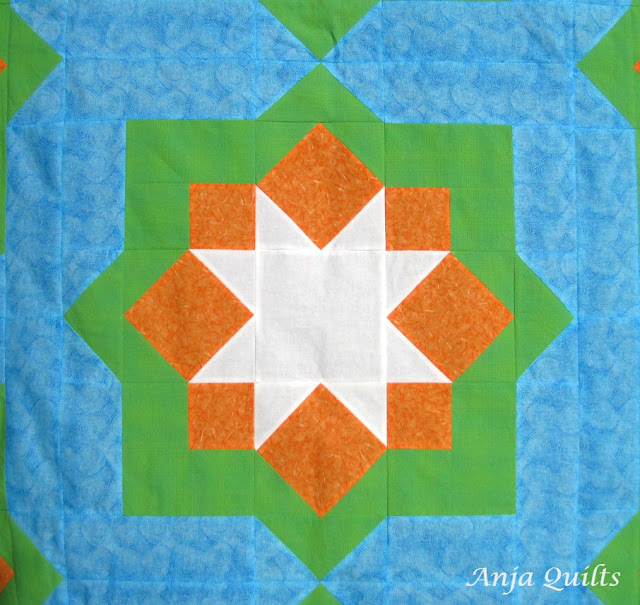 Fast forward...DT have grown and love playing with quilts, even walking around the house dragging them. So I decided to make "walking around" quilts for Christmas. I didn't realize that I hadn't bought enough of the animal panel until I sat down to get working....the week of Christmas. So I had to change my design plan and went with their names surrounded by lots of negative space and the animals at the top and bottom. I've blocked out their names for privacy reasons. The following Kona are in GT's name: Morning Glory, Cypress, Orange, and Azalea. And the following Kona are in BT's name: Water, Carrot, Chartreuse, Chinese Red, and Grellow. And Baby Blue for the background. This was the first time I tried fleece on the back. I will definitely do that again...it's so soft. 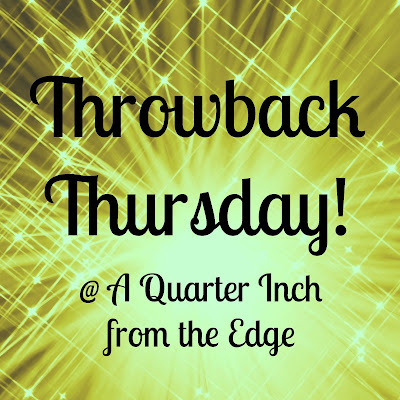 It's the first Throwback Thursday of 2016. 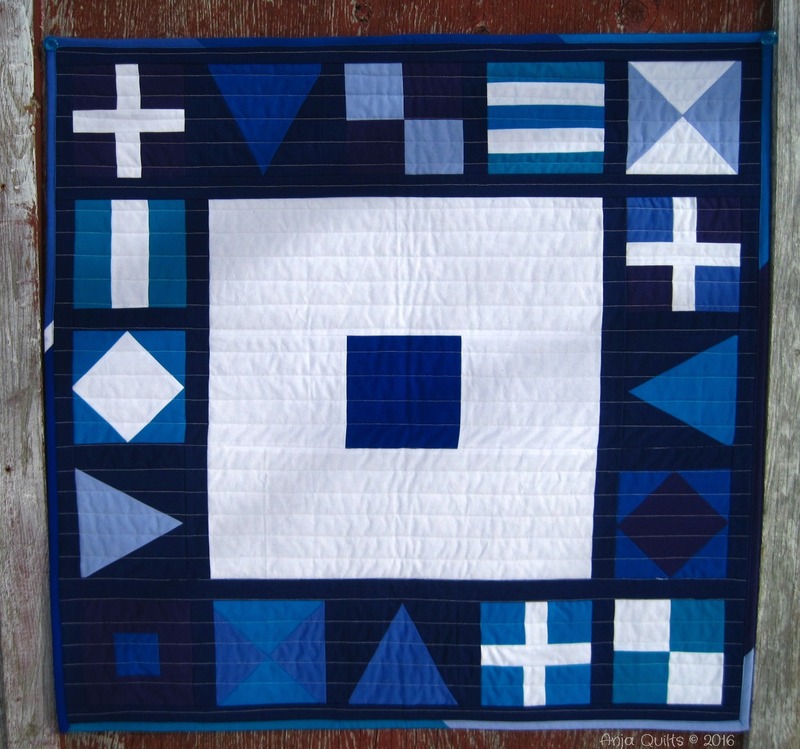 Pop over to Jenn @ A Quarter Inch from the Edge to see all the quilts of the past. 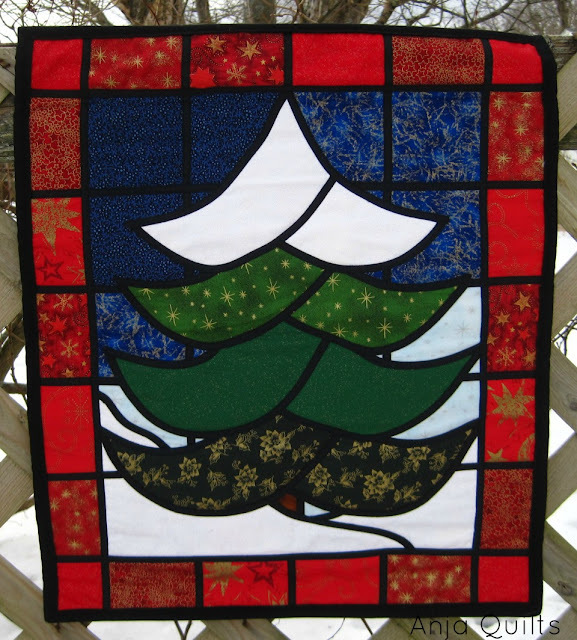 December's TBT theme was Christmas, but I didn't have any Christmas projects to showcase. That is, until I was going through my Christmas stuff and found this wall hanging. 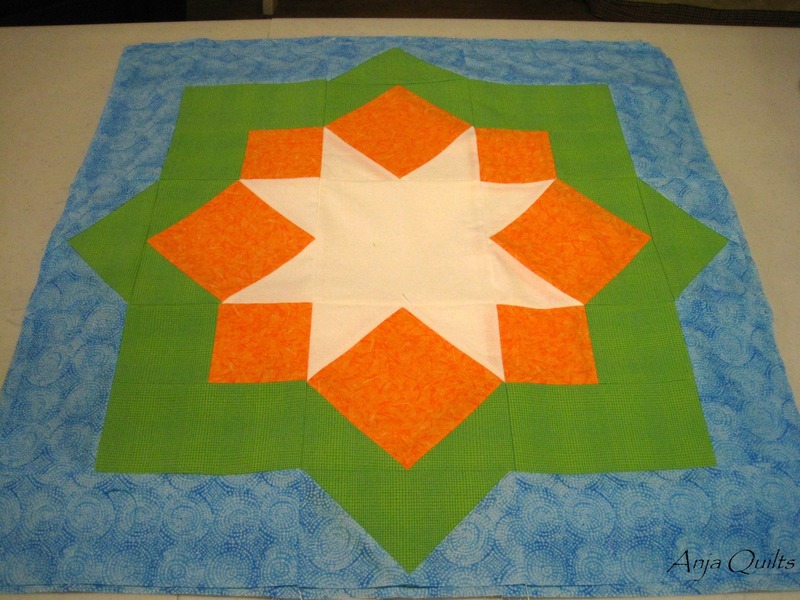 I forgot all about this project -- it was a class at my LQS many, many years ago. 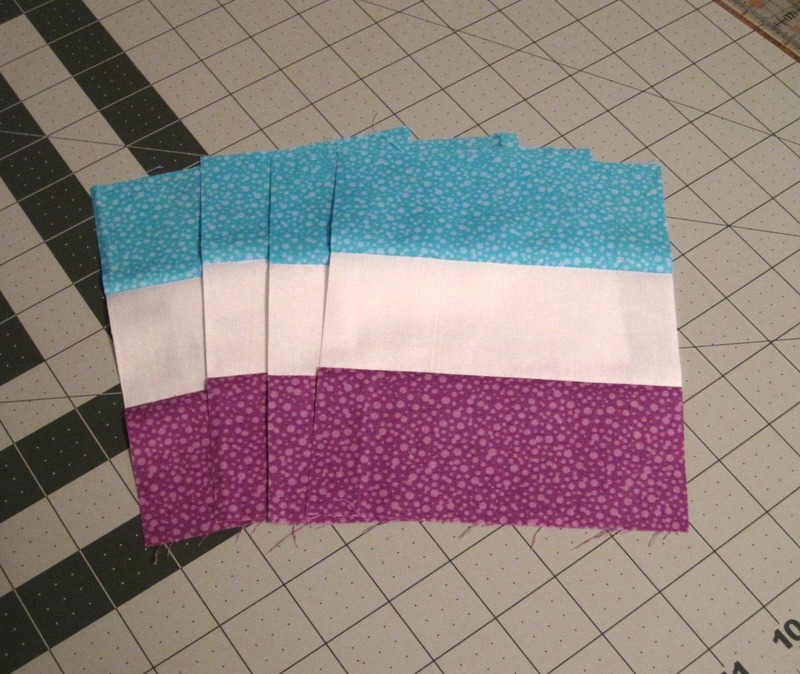 This was my first attempt at using fusible interfacing and fusible bias tape. Even learned how to use a twin needle. 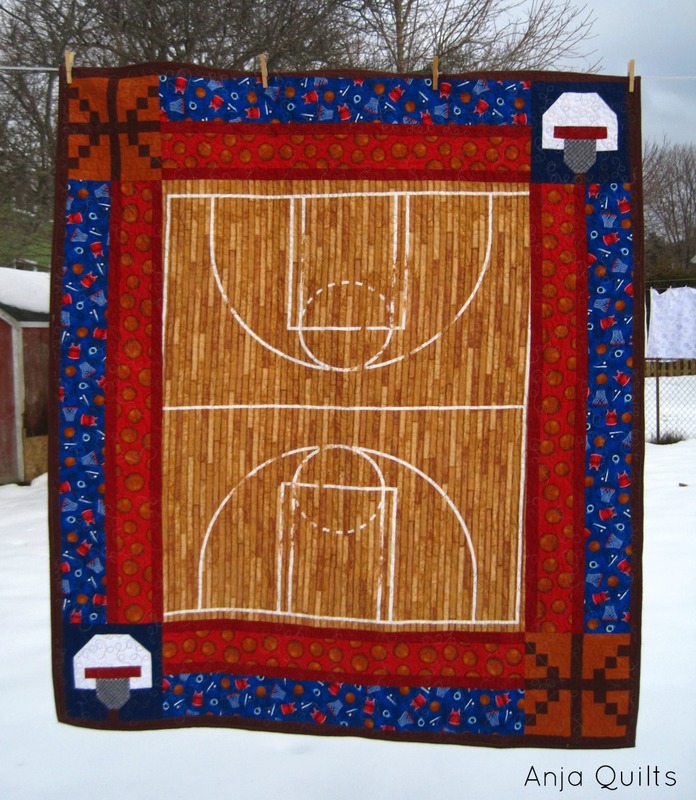 This makes me want to dig out the pattern and make another one. Head over to link up your Throwback Thursday quilts.